As stated in the Slingerville.com Terms of Service (located at http://www.slingerville.com/?page=terms), Slingerville does not control User Content submitted by its users. Users of slingerville.com are solely responsible for the information contained in the User Content they submit to slingerville.com, as well as the removal of any such User Content. If you would like the User Content to be removed, please reply to the User responsible for the submission of the User Content in question and request that it be removed; Slingerville will not remove the User Content. The user who submitted the post can login to their SlingerVille account and hide the post from the public. If you wish to dispute the information contained in the User Content, please do so in a reply to the User Content. Any such replies submitted are subject to the Terms of Service. 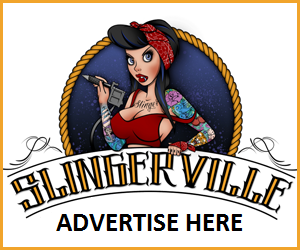 Slingerville.com is an interactive computer service provider under Section 230 of the Communications Decency Act of 1996 (47 U.S.C. Section 230(c)(1)), and pursuant to that law, shall not be treated as the publisher or speaker of any information provided by the Users of slingerville.com. As a result, slingerville.com and its affiliates are not liable for statements contained in User Content available on the site. Please direct all claims for relief to the User responsible for the User Content. There is a photo of me on SlingerVille - how do I remove it? Privacy is our top priority at SlingerVille. We use advanced encryption tools to ensure that your account information is secure. Once you login to your SlingerVille account, you will see an option which will allow you to edit your information. Once you login to your SlingerVille account, you will see an option which will allow you to deactivate your account. No they do not. You must first make your posts not visible manually before deactivating your account. If you deactivate your account before making your posts not visible, they will still be visible on slingerville.com. I made my posts "not visible" and they no longer appear on slingerville.com but show up in search engines? SlingerVille has no control over how often our content is crawled and indexed by popular search engines. (Google, Yahoo, Bing, etc...) Your post will remain visible until the search engine crawls and indexes our site again. Once you login to your SlingerVille account, you will see an option which will allow you to reset your password. There is also a "forgot password" option once you click on the login section of our website. How do I add an additional comment to a SlingerVille posting? After you've successfully logged into your SlingerVille account, you will have the ability to post directly to the thread already in place. How do I add someone to my SlingerVille network? After you've successfully logged into your SlingerVille account, you can add as many users to your notification list as you'd like. Absolutely, once you've created a SlingerVille account this option will become available to you under your My Account section. Can I submit proof with my SlingerVille post? If I search for someone and the search results show that the person DOES have a SlingerVille record but no visible posts, how can I view the posting?